Can you spot the warning signs before an incident occurs? Sector Forensics will manage the integration of monitoring software within your current system to provide increased functionality in compliance, security, risk assessment and incident response. Warning signs and alerts combined with the digital equivalent of CCTV will give you all of the necessary tools at your disposal to address incidents before they occur or deal with them efficiently when they happen. Could you tell if an employee copied critical company data to the web or a removable device? Would you know if someone copied and removed your database and sensitive files? 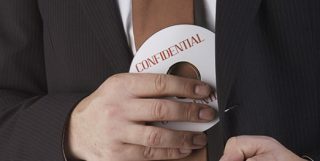 Is someone stealing confidential company files using removable storage devices? Are they printing or emailing sensitive files? When an employee leaves your company, what sensitive data leaves with them? Are you protecting your customer's data? Who is sharing your company intelligence and competitive edge? Contact Sector Forensics to discuss your requirements and receive a quotation. Detailed user configurable reports that are easy to understand allowing you to act quickly to incidents and make key decisions to take decisive action. We will install monitoring software that will not only alert you to suspicious activity, but send you screen captures of what your employee was doing at the time. You can receive alerts and reports anywhere in the world, 365 days a year. Leaving you peace of mind to get back to successfully running your business. Pro-actively monitoring your employees is vital for safeguarding your data and increasing staff productivity. You will be able to monitor employee network and internet activity whether they are in the office, working remotely or travelling. Enforce acceptable usage policies which will reduce incidents of sexual harassment, racism and misconduct. Employee bandwidth usage will decrease and you will benefit from increased compliance, productivity and most importantly company profits. A very professional company to work with.